Top appartment, Top locatie en Top service. 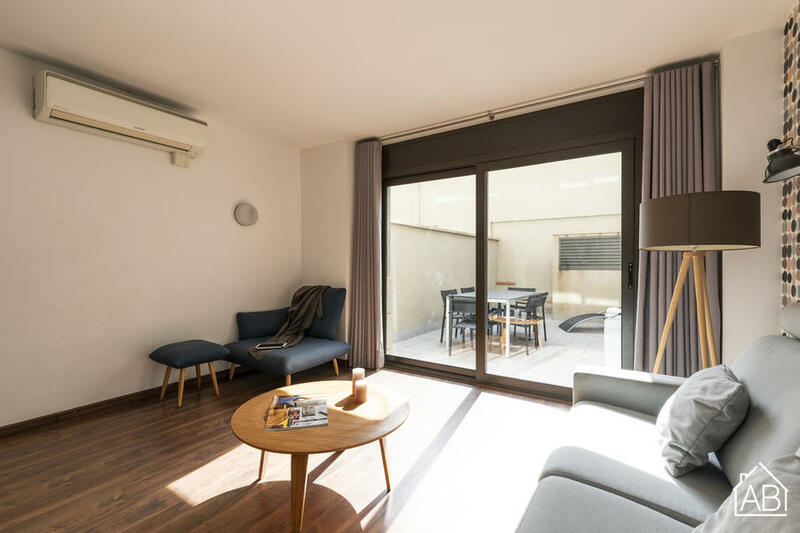 Situated just 700 metres from the famous Passeig de Gràcia, this beautiful apartment offers a sunny terrace and air conditioning. It is located just 200 metres from Girona metro station. The apartment sleeps up to 6 people across two double/twin bedrooms and a double-sofa bed in the living area. The apartment has a beautiful living room with a sofa, flat screen TV and a dining table, complete with chairs. There is also an elegant kitchen area and two modern bathrooms.